Today, Donald Sterling, released this promo above saying that 1,000 underprivilaged kids and thier parents can go to a game for free in support of Black History Month. Sterling is well known for being racist, heckling his own players, and not caring about anything that doesn’t effect his pocket book. Not sure what you can read into this poster since Black History Month was obviously in February. All kinds of unintentional comedy with this one. The picture is classic, because Sterling has probably one of the whitest black guys out there for the ad. Only reason I say that is because my girlfriend always calls me White instead of Asian… I’d nominate Al-Farouq Aminu, because he descends from a line of Nigerian kings. Speaking of crazy people that make little to no sense with their actions, Charlie Sheen has made himself into the most quotable guy in recent memory. I’ve always been a fan of Sheen, he had me with the Chase and Major League. I don’t know many people who liked Two and a Half Men, but he’s living the lifestyle that many men wish they could. Yes, he’s got major problems, but his problems don’t seem all that bad when you are constantly winning! I watched him on the Today Show interview and shortly after on his TMZ interview, and thought it would be fun to make a list of my favorite quotes from his wild non-drug enduced tirade. That’s a lot of quotes from one man in two days. There were some others, but this was already getting longer than I expected, because every thing he says is pure gold! I wouldn’t mind being on the drug called Charlie Sheen, unless he is right and it does kill you… I’m going to try and incorporate as many of his quotes into my daily life as possible. It’s impossible not to enjoy a good heckler at any kind of game. Whether it’s a realalistic fan spouting off about why someone is or isn’t good or it’s the idiot that doesn’t know anything about the game and 90% of the time is spitting out drunk babble. I have no problem with either as long as they are good at it, and are entertaining. Today it’s been reported that Donald Sterling the owner of the super successful Los Angeles Clippers, has been heckling his players for the last couple of years. All of the heckling reported seemed fairly un-imaginative. 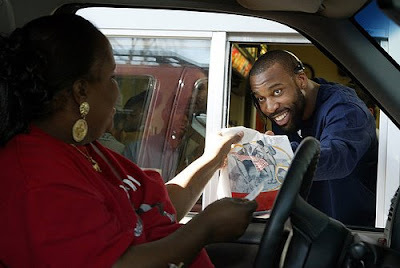 Nobody has received it worse than our former Bay Area hero, Baron Davis. I had mixed feelings about it when I first read it, since BD hasn’t lived up to his contract at all, I can see why Sterling might feel that some of his comments/frustrations were warranted, but how many bad contracts have there been in the NBA? 5,000? 10,000? Way too many for me to count (I can count at least five on the Warriors right now). In this information age, you had to know what you were getting yourself into when you signed Baron. Maybe Sterling wasn’t paying attention to the way Baron left New Orleans or Golden State. Whatever the case for the bad blood between the two just remember Sterling holds the record for largest payout ($300M) in a trial that concluded that he was racist against who he was renting his apartments to. I feel bad for Baron as he’s fighting against his injuries, a new coach, and even the owner. I guess it is possible that Sterling might have found the single weirdest way to motivate his highest paid player. I doubt that’s what he’s doing, but if you were Baron wouldn’t you want to prove him wrong a little? The weirdest part about all this is I couldn’t see any owner doing this in any sport. Not Dan Gilbert who wrote that ugly letter to Lebron. I can’t see Jerry Jones on the sidelines heckling Roy Williams, with a “get off my billion dollar field comment”. At least Bud Adams flips off the opposing team instead of his own. Even Al Davis loves his players too much to throw them under the bus during a game. The fallout from this will probably be nothing much from the Baron front, because he’ll get paid whether he performs or not. He might pick up his game a little bit, but looking at it from the bigger perspective they have two amazing stars of the future there in Eric Gordon, and the eventual Rookie of the Year, Blake Griffin that nearly every franchise would kill to have as building blocks. I’ve never been in their locker room or around any of their players, but do know that Baron is a very likeable guy. I’m positive that he’s had some influence on Gordon and Griffin in one way or another, and I feel like they’d feel Sterling is in the wrong. My theory is if Sterling continues to heckle Baron (and he most likely will), does he really expect either of his two young stars to stay when they have a choice of exploring their options? If I were either of them, my first option would either be to switch to purple and gold, or get the hell out of LA. Also how do you build with these guys? 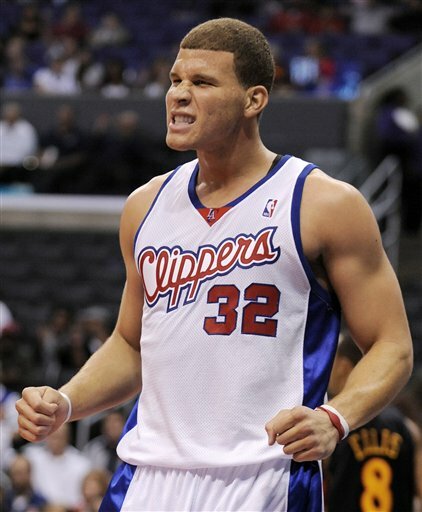 Would any free agent in their right mind want to go to the Clippers unless they were going to make an extra $2-3M? Enjoy Griffin and Gordon while you can Clippers fans, because the Sterling and Baron saga just sealed your future of staying in the lottery for years to come, and confirmed why I put you as the worst NBA franchise over a year ago.